How do I resend an invite to someone? Click on the Members tab on the left sidebar. 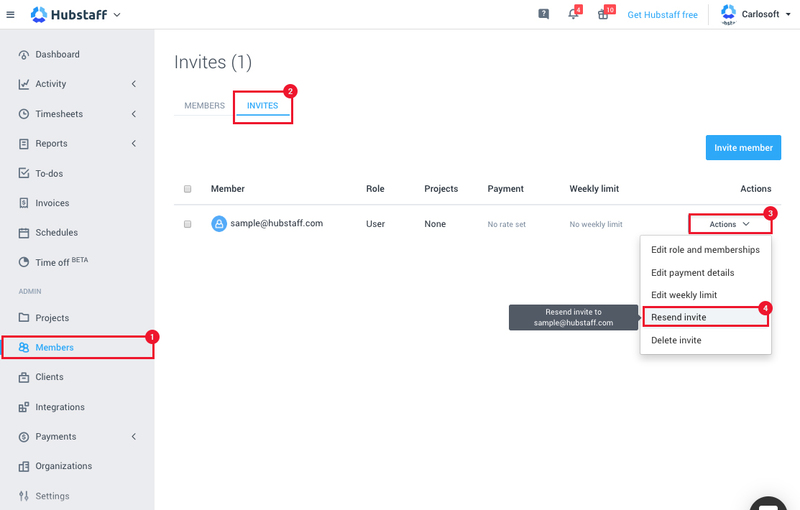 Click the Actions button next to the member you want to resend the invite, then select Resend invite on the drop-down.